All things come to an end. And so it was today with the CBL Cambridge Summer Institute. 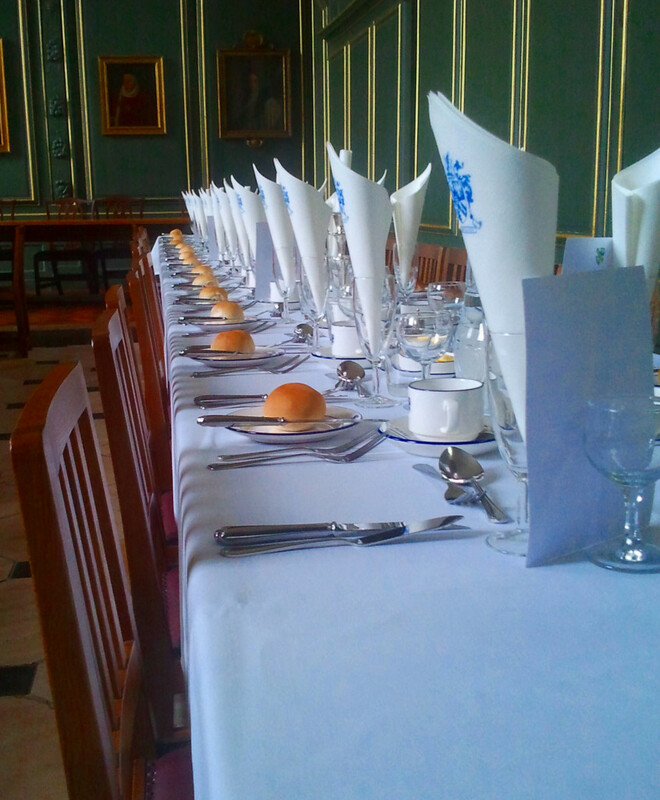 But it would not be CBL, if there was not an occasion, where we all would sit together in the historic hall of Magdalene College to celebrate the past two weeks. So, after the last lectures were over, people dressed up and gathered at the hall, where everything was already very nicely arranged. As we had some bread with butter, uniformed waiters started to enter the room and to pour wine into our glasses. What followed was a marvellous meal with several courses. The waiters took good care of us and we really enjoyed the mussels and the subsequent beef. Crème Brûlée was a really worthy conclusion. Occasions like this also demand to be accompanied by words of gratitude. For this reason, one of the delegates used the opportunity to thank CBL for the good time and for the many new friends we made during the past weeks. And as the head of CBL in Cambridge expressed her gratitude, the hall was totally silent and everybody felt regret that the two weeks were over. As the formal part of the lunch came to an end, delegates gathered to take pictures and had some drinks and chats until the afternoon, when the official ceremony began. There, the certificates of the courses were handed over and it was the time, when the last pictures were taken, contact data was exchanged and everybody wished farewell to all the new friends we had made. Thank you! Thank you, CBL, for this great time!